If you enjoy all sorts and kinds of rock music then this is the right show for you! 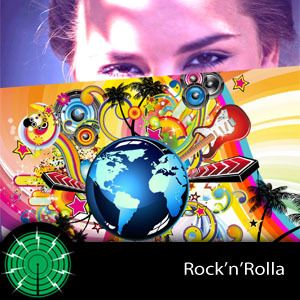 You are about to have the treat of your life as Rock'n'Rolla, aka Iliana Magra, explores all styles of rock music, ranging from psychedelic, classic, hard and folk, to metal, alternative, country, indie, punk, progressive, blues rock and much much MORE. The element that makes this show different to every other rock show you might have listened to is that it combines the Western, mainstream rock we all adore with rock from across the world. The result? Amazing sound blending that you had never imagined but will immensely enjoy. Intrigued? Press play and let's ROCK ON.